“When Karan was born, he weighed 7.8 kg and was over 63 cm in length. So that got him into the record books instantly. 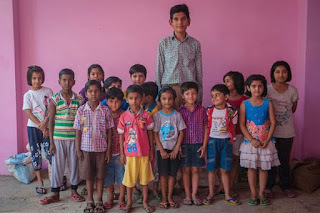 “Then, when he was five-years-old, he got the record for being the tallest toddler. 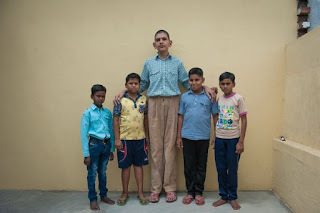 He is eight now and I want to get him into the Guinness Records again,” said Sanjay whose son is already his height. “Then, when he was five-years-old, he got the record for being the tallest toddler. 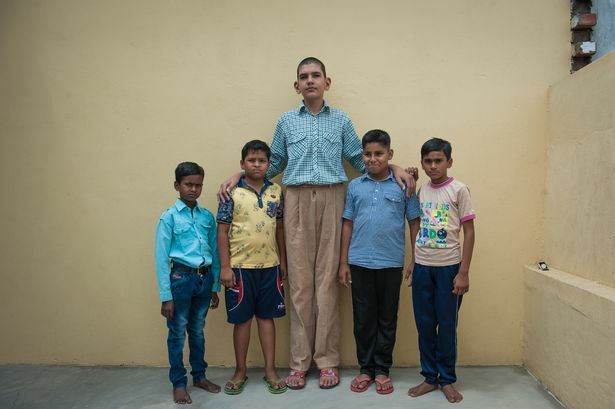 He is eight now and I want to get him into the Guinness Records again,” said Sanjay whose son is already his height.His mum Shweatlana, 33, was named India’s tallest woman with a towering height of 7ft 2in.